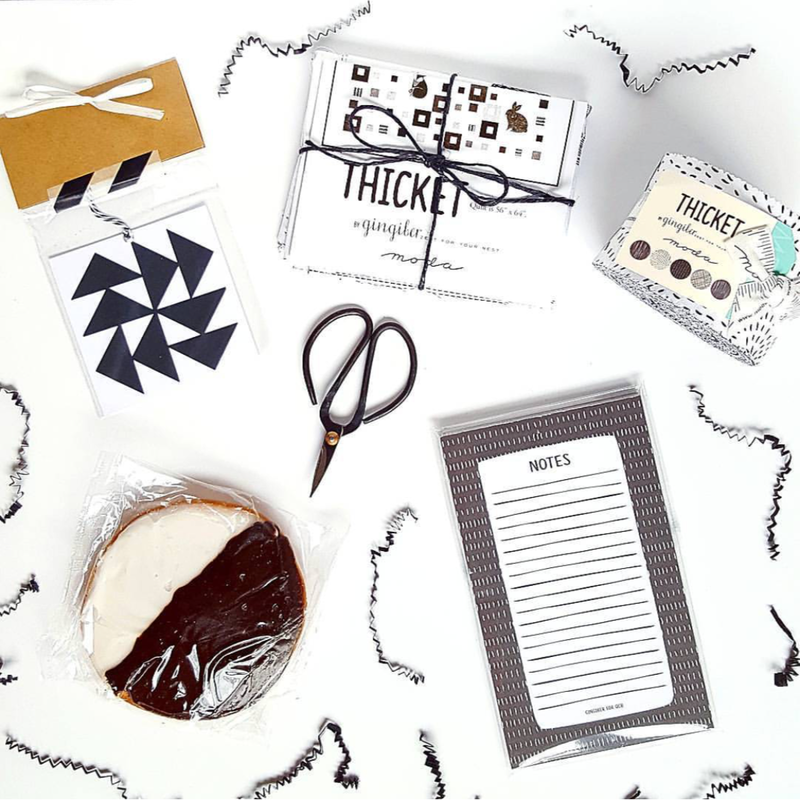 This Black and White box features Gingibers hand-drawn Thicket fabric. Included is a Jr Jely roll, 4 animal panels (one large and 3 small), and the pattern for her Thicket quilt. Gingiber also made an exclusive note pad just for this box. There is a pack of black and white quilt inspired gift tags. Each box has a small pair of Chinese black quilting scissors, as well as a black and white cookie.